Getting married is an exciting time, and there is a lot to plan. 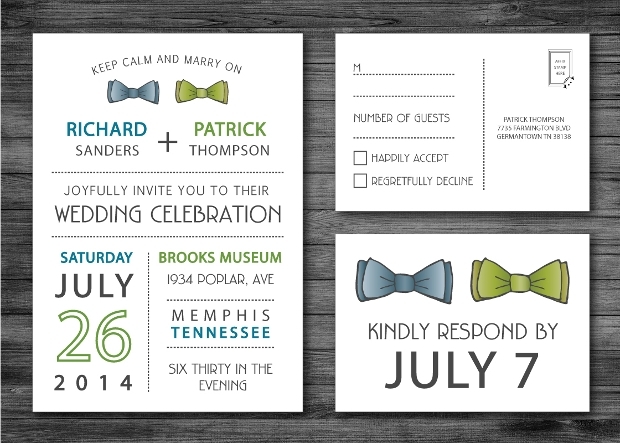 Invitations are crucial in getting the information to your friends and loved ones, and filling the seats in the aisles. 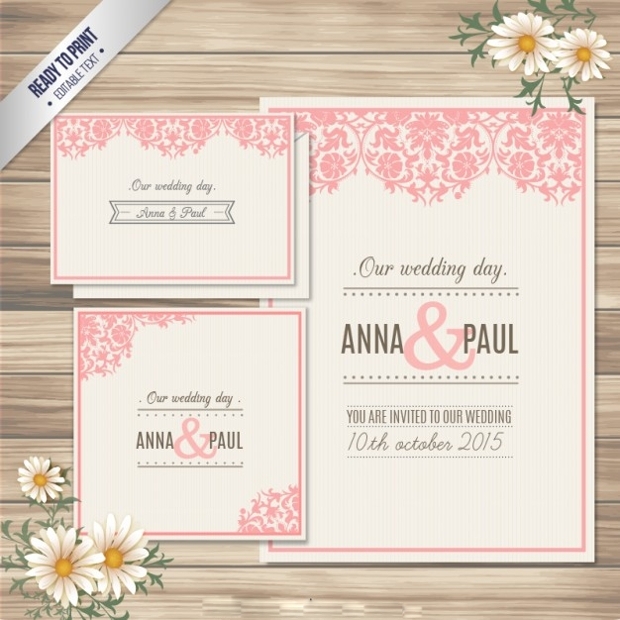 We have compiled a list of beautiful designs to give you inspiration for your special day. 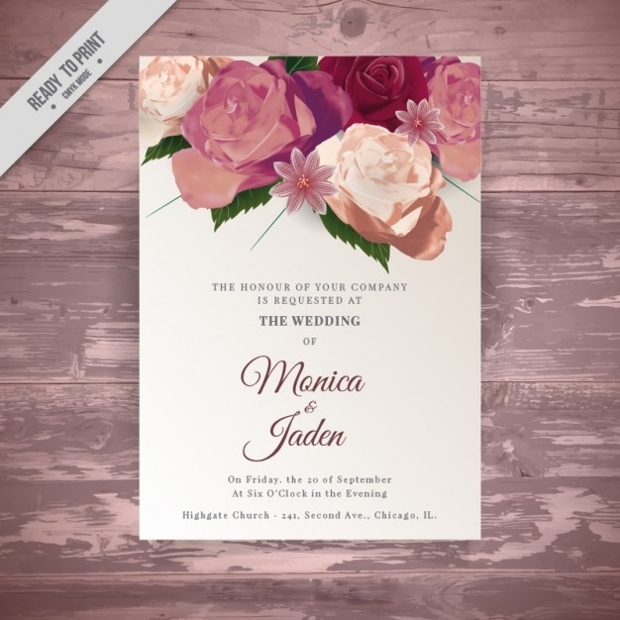 These invitations are suitable for a wide range of wedding themes and styles in order to create the perfect invitation design for your special day. 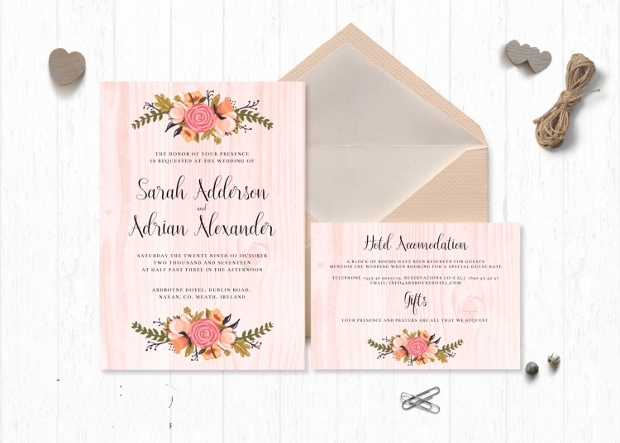 This wedding invitation is a simple silver design with delicate floral embellishments and a cursive font to create an elegant and memorable wedding invitation to send to your guests. 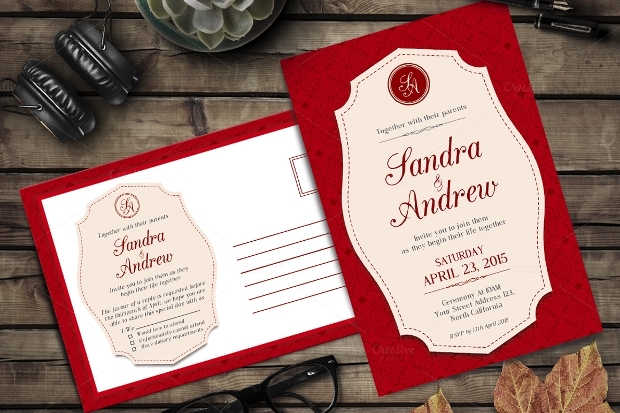 This design uses a red background and cursive writing with a cream cut out design. 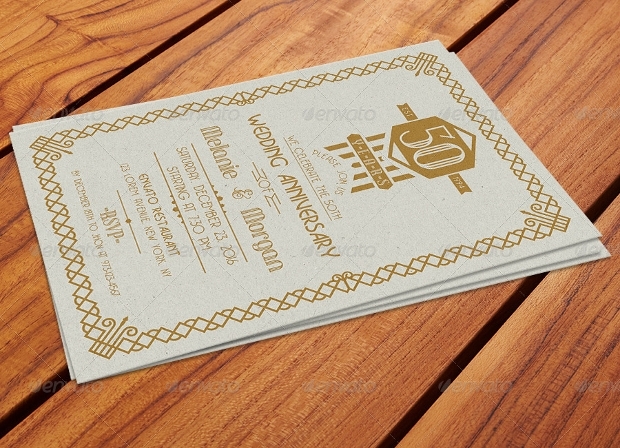 It is an elegant and simple invitation design to keep your event in your guests’ minds. 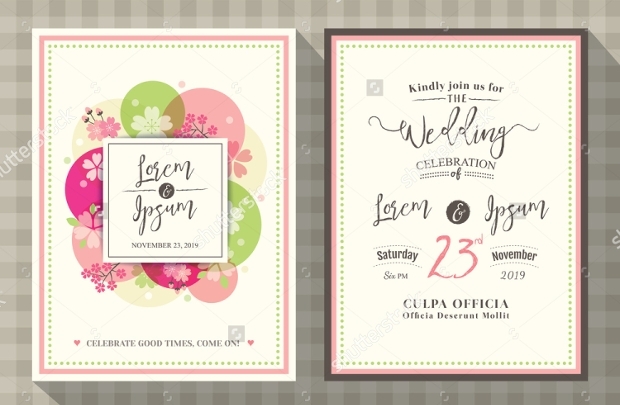 This design features a picture of the engaged couple and embellishes the information over it with a light white and brown design. 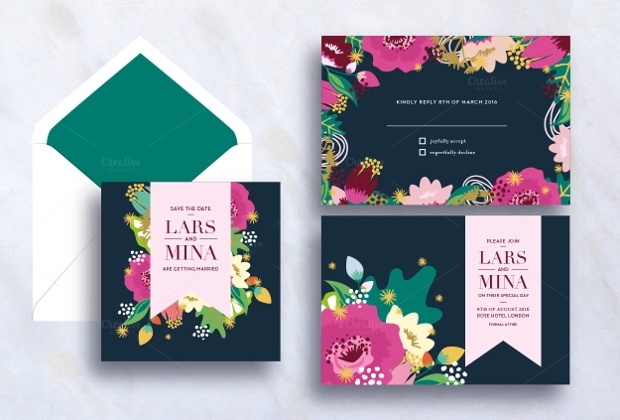 This design is modest and arty for a younger couple. 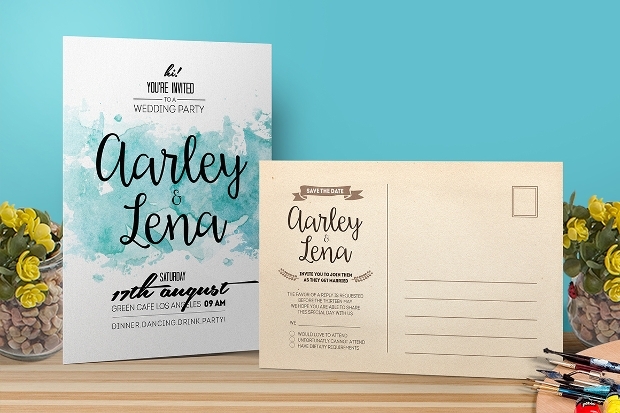 This invitation uses a white piece of cart with watercolour printing and a hand written font on one side, and a post card design on the other to write the invitation and RSVP to the wedding. 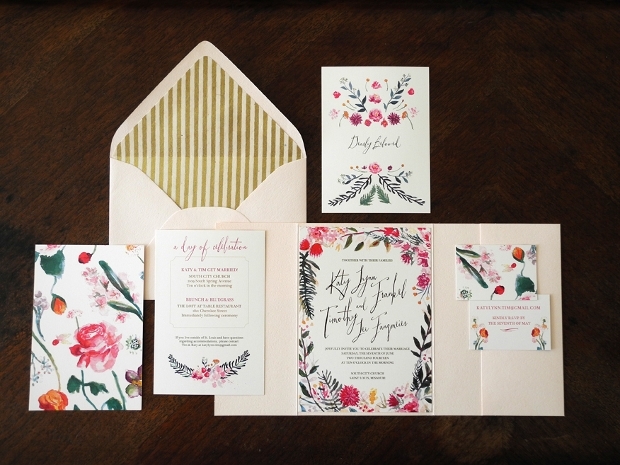 It is modern and stylish and sets the tone for an artistic wedding. 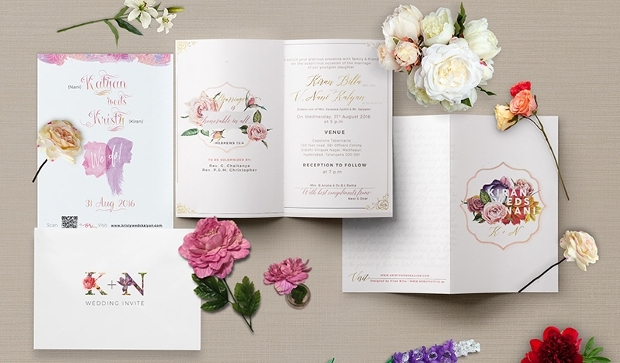 This design uses flowers and gold font to create a delicate and elegant design to this wedding invitation. 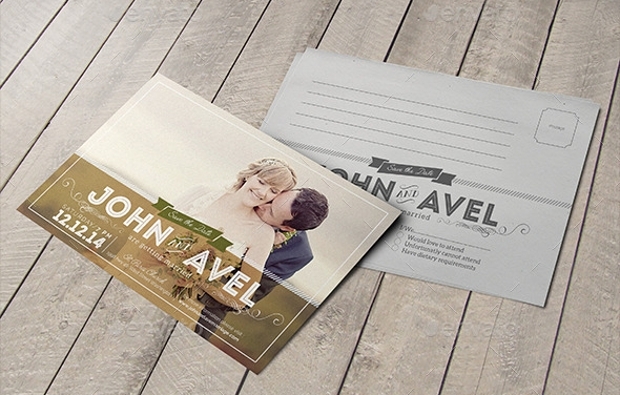 The invitation is simple and gives the information to the guest in a clear way. 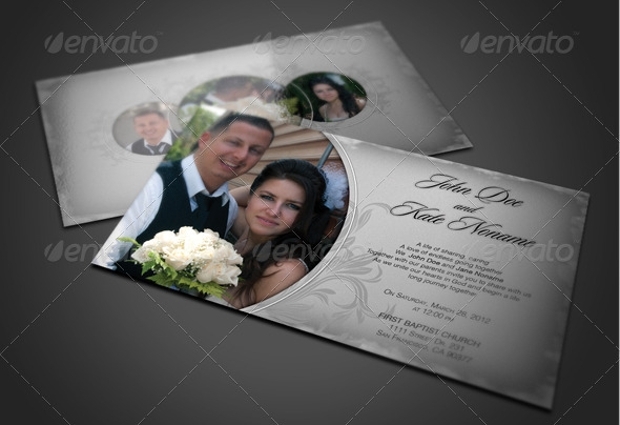 It is ideal for a number if different types and themes of wedding. 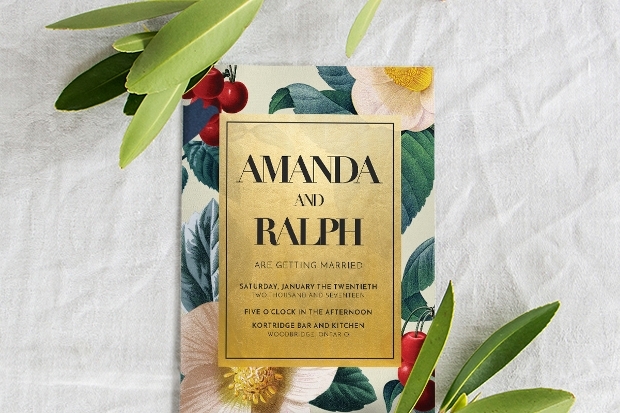 This invitation has a floral background with a gold block, which holds the information of the wedding and invitation. 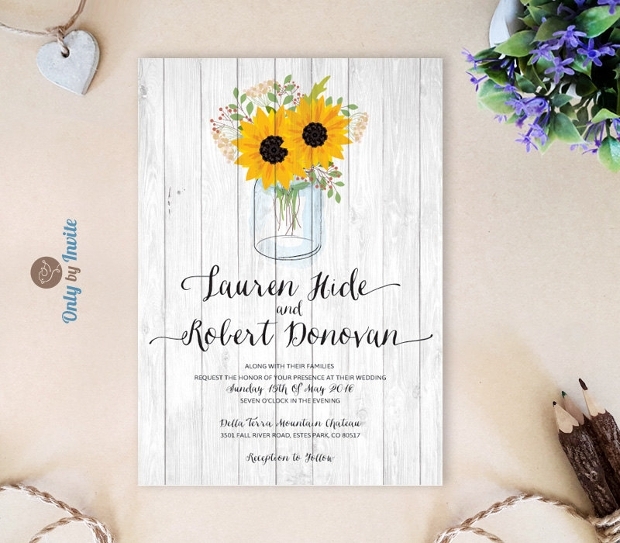 It is ideal for spring or summer weddings in a number of different themes. 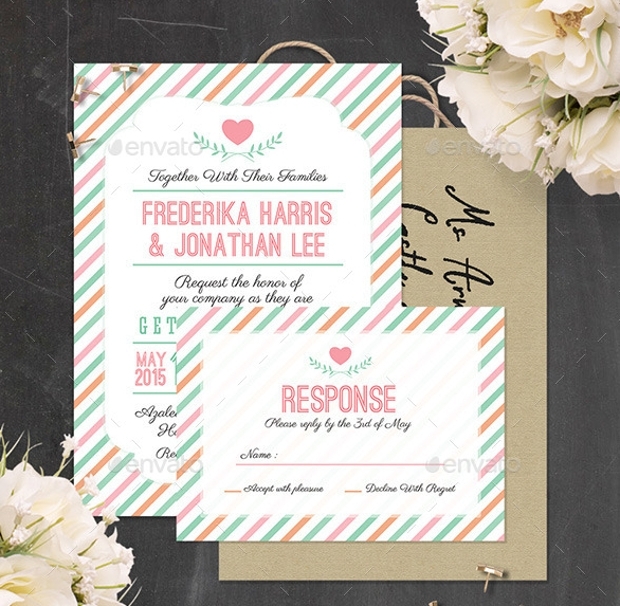 This invitation is much more cute and quirky, using candy striping to decorate the border around the invitation and RSVP card. 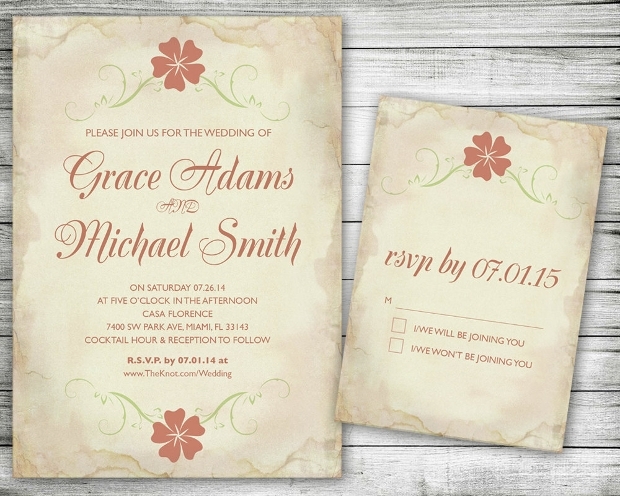 This invitation is ideal for a different, more indie themed wedding. 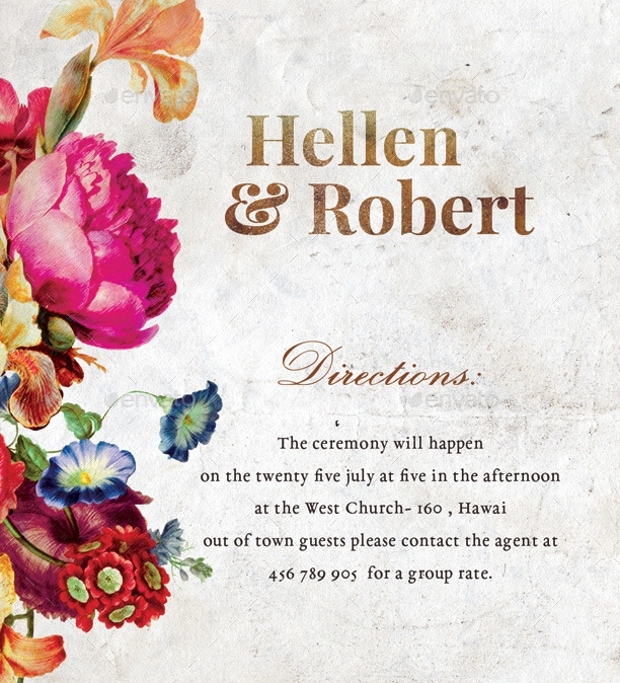 This invitation uses a digital 2D flower design, rather than the more realistic designs previously seen in this list. It is ideal for summer and spring weddings, and is perfect for a modern style of wedding event. This design uses cartoon cherry blossoms in the background to embellish the information written in an artistic had written style. 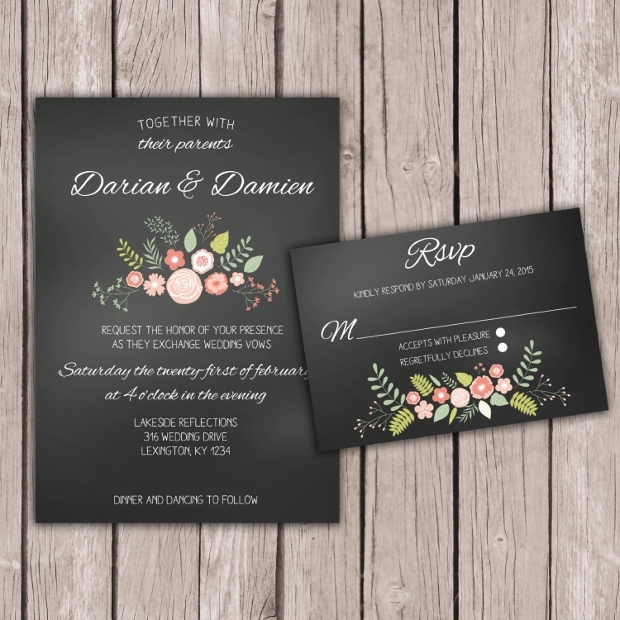 This is a very cute style that can be used for a simple, elegant wedding theme. 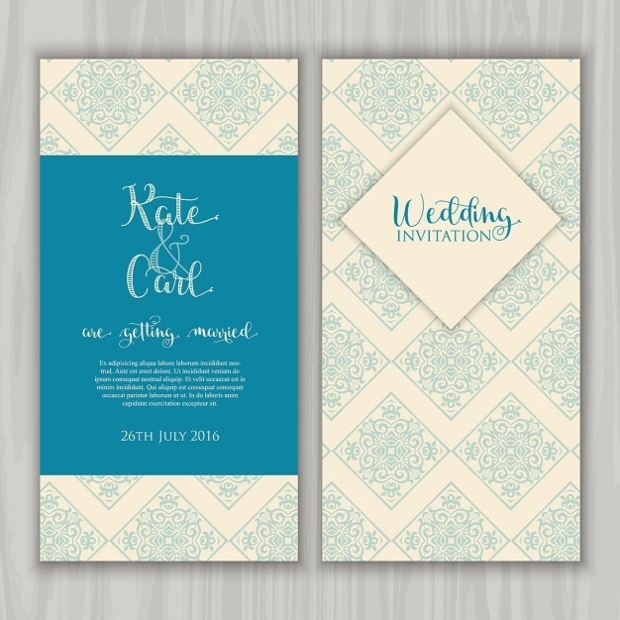 These wedding invitations come in several block colours with a lot of intricate gold embellishments. 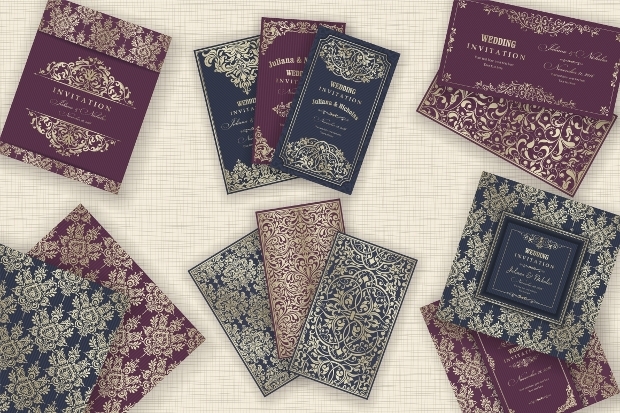 They are perfect for an elegant and lavish wedding theme. 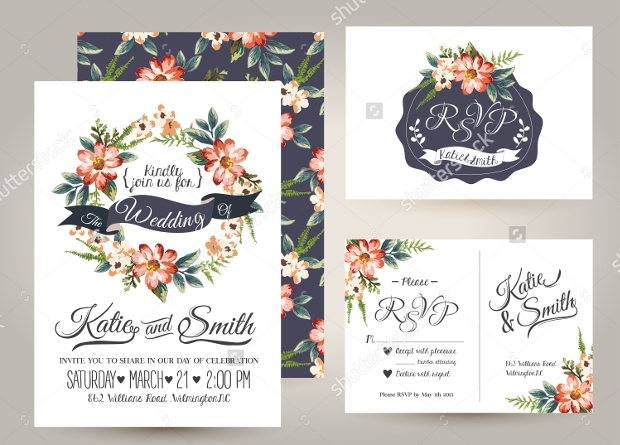 These invitation designs create the first impression for your wedding in order to show the guests the theme and dress code, so that you get the day of your dreams. We hope that this list has given you some ideas and inspiration to find the designs that best fit your theme.